That’s the typical response I get when I speak with someone unfamiliar with the sport of strongman. After suppressing a small bit of rage, it becomes my duty to explain to them why they couldn’t be more wrong with their concept of our beloved strongman contests. I understand how they can have that perspective (based on the limited TV coverage), but I am certain that if they knew what it really was about they would become a casual fan at the minimum, and we could possibly attract a larger audience. While the Average Joe may not understand the skills involved in lifting heavy and odd objects, we know that the best athletes all have impeccable technique. It may only take one session to get the basic form down for lifting a stone but making it efficient and developing the neuromuscular patterns for elite lifting can take months or years. 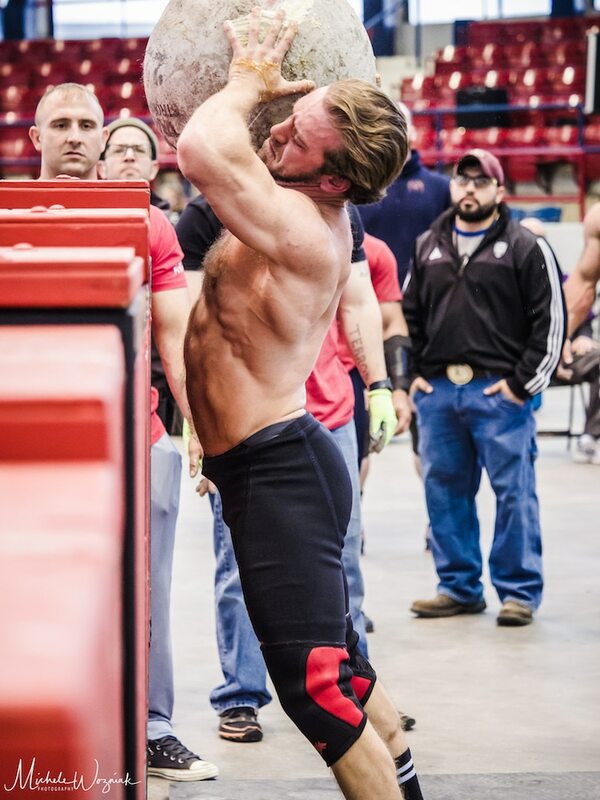 Not only does correct technique increase the poundages one can lift, but it keeps the person safe and ready to compete time after time. Weight classed competition has been around for 15 years now, and we also have a women’s division. There is literally a weight class for everyone, and age groups too! The sport is now enjoyed by 120 pound woman as well as three hundred pound men. Not to mention, most of the athletes are incredibly lean. Even some pros in the 400 pound range can lift up their shirt and show off an impressive six pack. Having The World’s Strongest man on TV every year is a great way to promote the sport, but it also builds a false sense of what’s happening at the local level. Almost everyone in the United States can get to see a live event every year within a short drive from their house. There are hundreds of local events every year and a handful of National and Professional level events too. Encouraging people to see the live action and helping them find a contest is a great way to be an ambassador for the sport. Most people who got started in strongman were intrigued by watching a contest. 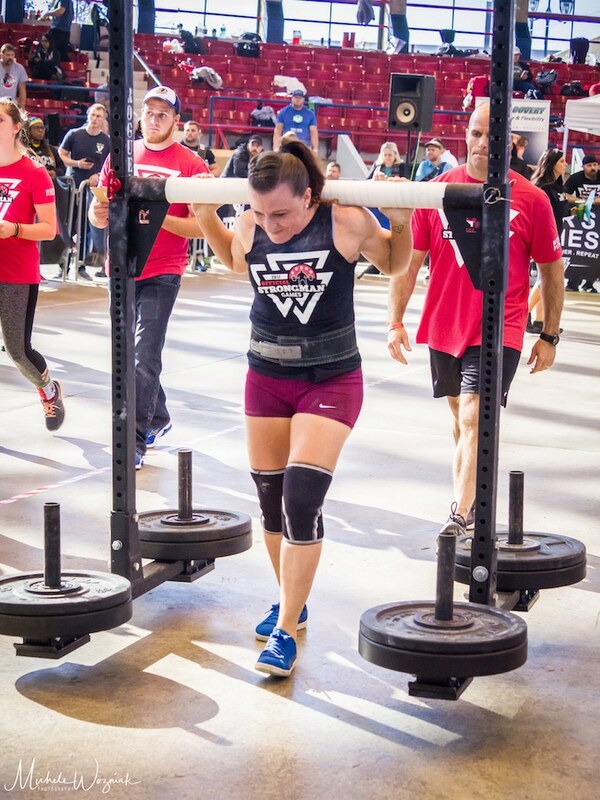 The challenge of five different events that all use a unique skill set provide not only a physical challenge, but a mental challenge as well. Stay-at-home mom’s, former athletes who had gotten out of shape, and never before lifters had made up part of my training group back in New York. All of those people now have qualified for nationals and many have won regional titles. You don’t have to have a specific background to get started, just a love for competition and a desire to work hard. One of the best things about strength training is that to get great results you don’t have to put in hours upon hours of work like you would in a sport like marathon or triathlon. Most people can build the strength to compete in just three or four sessions per week. With a great training group or coach the results will come fast and help lead to healthier lifestyle as well. A trainee can build muscle mass, lower body fat, and and improve their hormonal panel on a strength building program. With the variety afforded to devotees, boredom is never an issue, and a new challenge is just around the corner. There is no better time than now to take up the modern version of centuries old tests of strength. Strongman has something to offer everyone and isn’t just for the big boys anymore. Forget what you thought you knew and get passionate about lifting the Stones of Strength!